If you’re wondering how to change the battery in your Rolex Daytona quartz chronograph, then you’ve come to the right place. 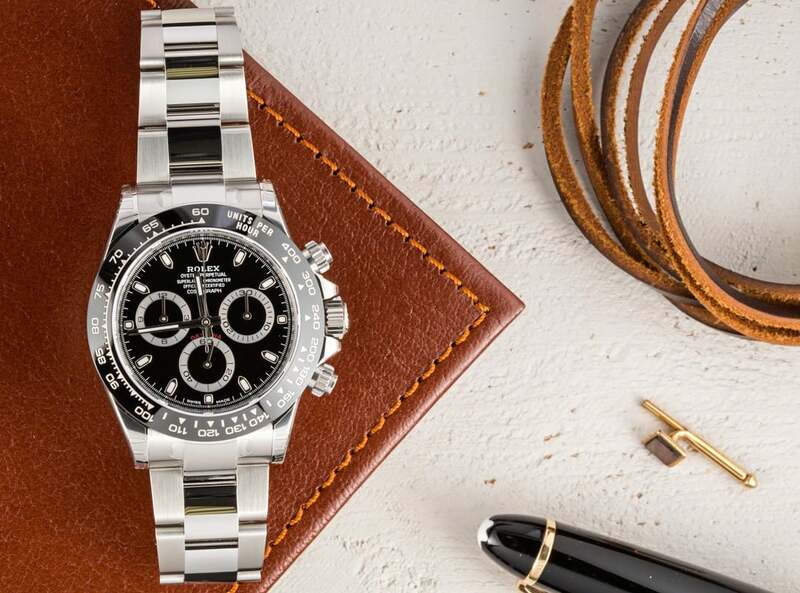 Read on as we guide you step by step on the proper procedure to change your Daytona battery without causing any damage to your Rolex. Here is the inside look of a Rolex Daytona Movement. JUST KIDDING! And Happy April Fools! There is no such thing as a battery-operated on a Rolex Cosmograph Daytona. While Rolex certainly has made quartz watches in the past—namely Oysterquartz models and the Rolex ref. 5100 with the Beta 21 movement—the Daytona has never had anything other than a mechanical movement powering it. However, the movement driving the Rolex Daytona has changed several times over the years, and that is the real subject of today’s article. Vintage Daytonas hold a Manual-Wound Valjoux. 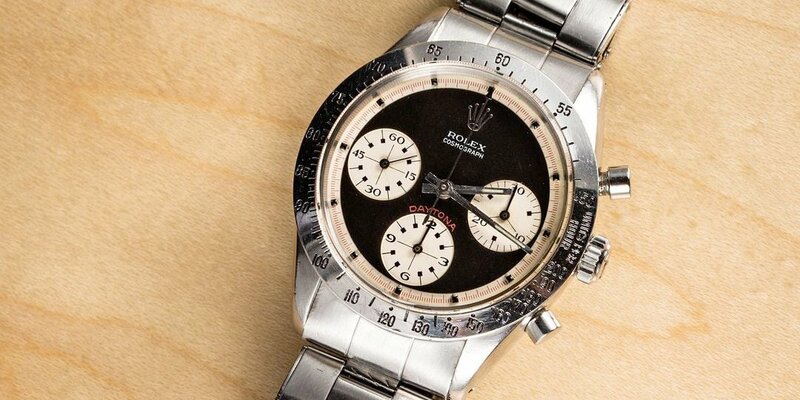 Vintage Rolex Daytona watches produced from the 1960s until the late 1980s were manual-wound chronographs. At the heart of these sporty timepieces are Valjoux 22 based calibers—first the Rolex Caliber 722 (18,000 beats per hour) followed by the Rolex Caliber 727 (21,600 beats per hour). Even the most expensive watch ever sold at auction—Paul Newman’s very own Daytona “Paul Newman” that sold for just under $18 million—is a manual-wound Daytona. 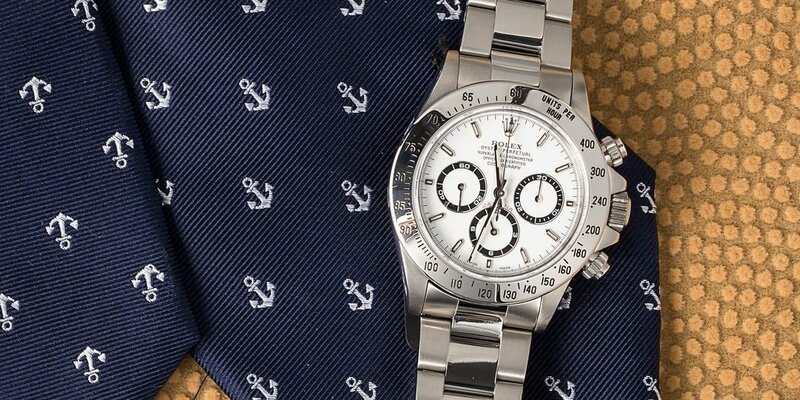 Since the vintage Daytona watches are hand-wound, they are not part of the Oyster Perpetual family. Remember, the “Perpetual” in “Oyster Perpetual” refers to Rolex’s automatic movements with the perpetual rotor. 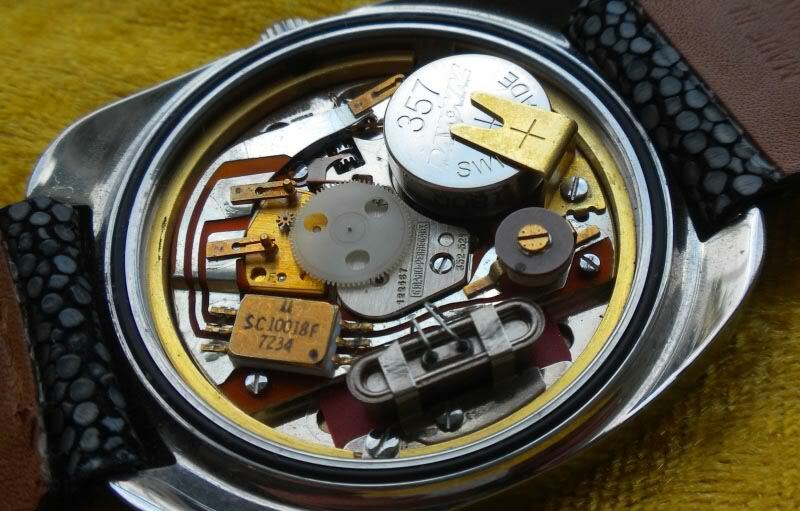 Rolex continued to enhance their watches by making the internal movement better. In 1988, Rolex unveiled a brand new version of the Rolex Daytona. The brand said goodbye to the manual mechanical movements and hello to automatic calibers for their signature chronograph watch. However, rather than build one from the ground up, Rolex used the famous Zenith El Primero automatic chronograph movement as a base and heavily modified it according to their own specs. At Baselworld 2000, Rolex finally unveiled an in-house chronograph movement, the Caliber 4130, to power the latest generation of the famous Rolex chronograph. It took about five years to develop and includes a vertical clutch rather than the more common horizontal clutch, which offers improved performance. The Caliber 4130 is still the engine of today’s Daytona watches. But in 2015, Rolex redefined the “Superlative Chronometer Officially Certified” designation of all their watches—including the Daytona—to feature an accuracy rating of -2/+2 seconds per day. It’s worth mentioning that because the highly coveted ceramic Daytona ref. 116500LN made its debut in 2016, it falls under the new parameters. So while a quartz caliber or battery has never seen the inside of a Rolex Daytona, the iconic chronograph has been home to a range of movements throughout its five-decade history. Did we fool you with our headline? Forward this article to some friends and see who falls for it!